a place where both local governments and companies could find inspiration for their future initiatives. TheMayor.EU aims to enhance the understanding and cohesion between the citizens of the European Union, the local authorities and EU institutions. The goal is to keep the taxpayers informed about the good practices on a local and regional level, by honouring the work of local authorities. This will ultimately lead to improved cooperation and exchange of information between the municipalities in the European Union and will contribute to the socioeconomic development of the regions and cities. We aim to achieve our goal by also promoting European policies, linked to regional development, as well as the realisation of the Mayor of Europe Awards ceremony, with the support of European Commission, Committee of the Regions and European Parliament. The portal is dynamic and open to every EU municipality willing to join it, no matter how big or small. The local administrations will have access to a direct channel through which they can inform citizens of recent achievements and promote interesting projects in line with the shared European values. Find more about how to participate from the Add a City section. EuroAdvance Association, which stands behind the initiative, has broad experience in the realisation of the project Kmeta.bg – The portal of the Bulgarian municipalities. It has proven its sustainability throughout the years and has managed to attract the interest of local administrations and citizens. 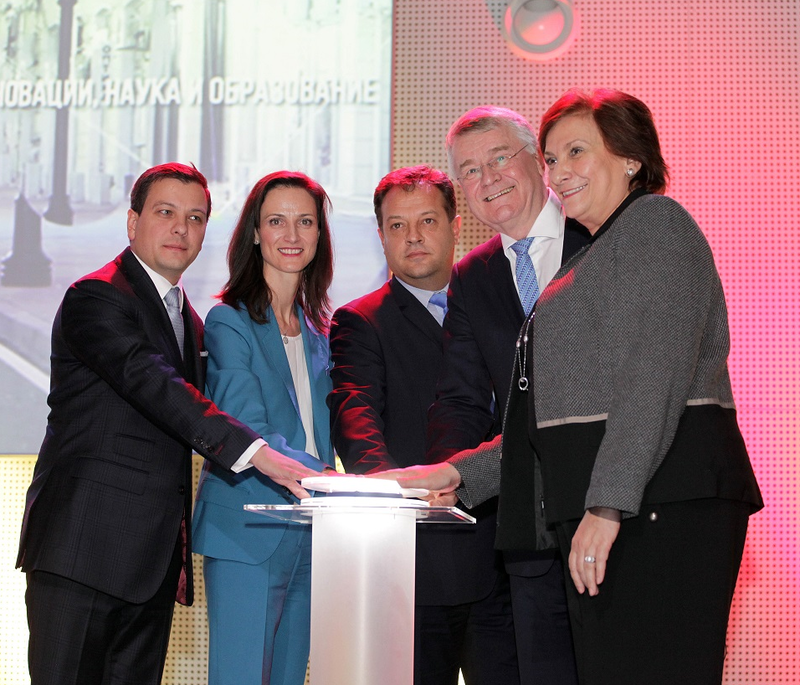 EuroAdvance has been a partner in the organization of “The Mayor of the Year” competition in Bulgaria for 6 consecutive years. Boyan Tomov – Chairman of EuroAdvance Association and founder of the project TheMayor.EU, Mariya Gabriel, European Commissioner for Digital Economy and Society, Daniel Panov – Chairman of the National Association of Bulgarian Municipalities and Mayor of Veliko Tarnovo, Markku Markkula – First Vice-president of the European Committee of the Regions and Iskra Mihaylova – Chair of Committee on Regional Development launched the unique platform dedicated entirely to the municipalities in the European Union – TheMayor.eu.